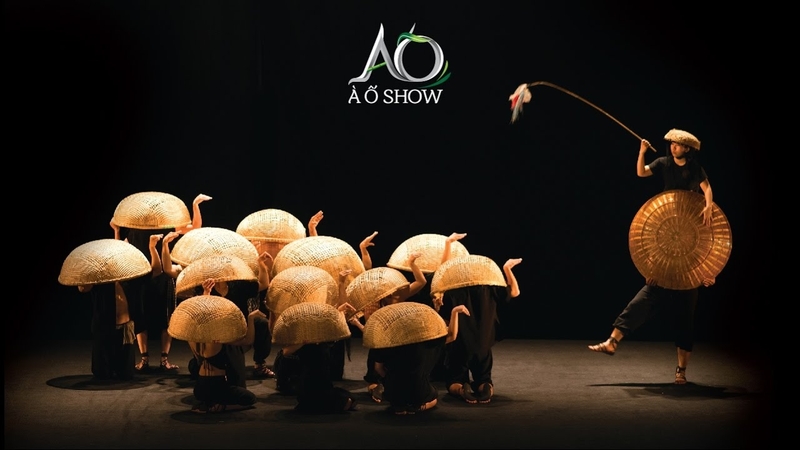 Vụn Art was found with the aim to provide training and job opportunities for the disabled, helping them to improve their life and integrate with the society around them. 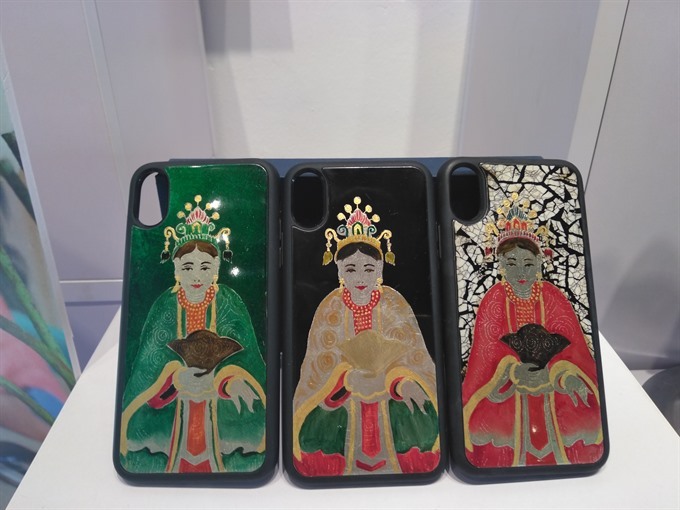 Vụn Art’s artworks take inspiration from Vietnamese folk paintings, carrying in them the values of Vietnamese souls, culture, and people. 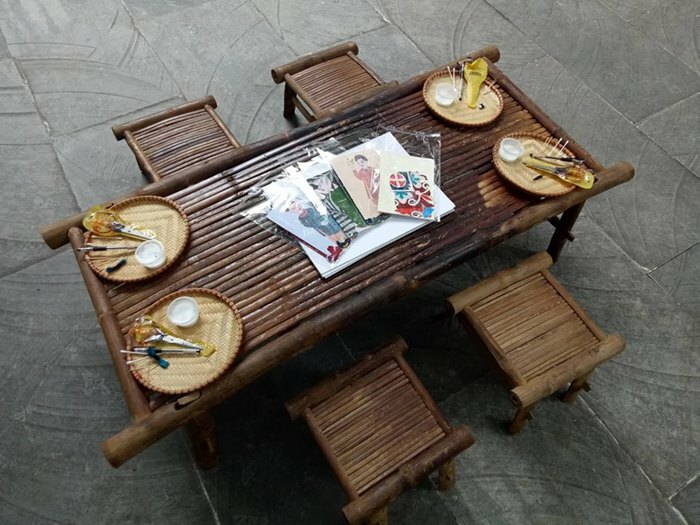 The experience of making art from fabric scraps hosted by Vụn Art is held in a very Vietnamese bamboo garden, in the framework of Van Phuc Silk Village Culture and Tourism Week. 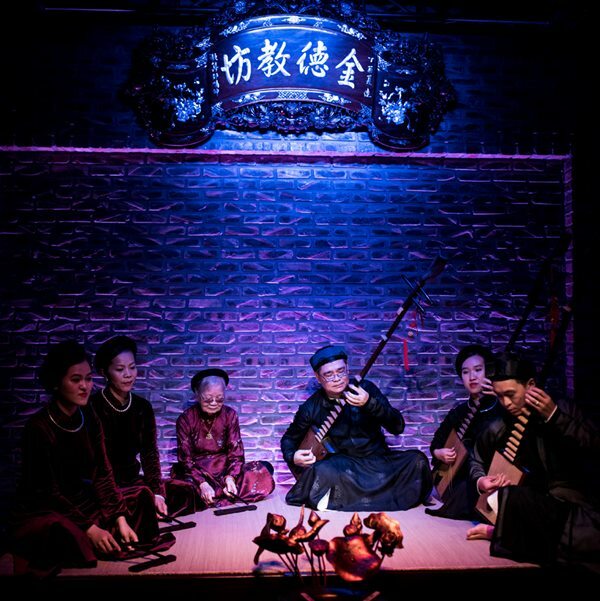 The best 107 entries in the Vietnam Heritage Photo Awards competition are on display. 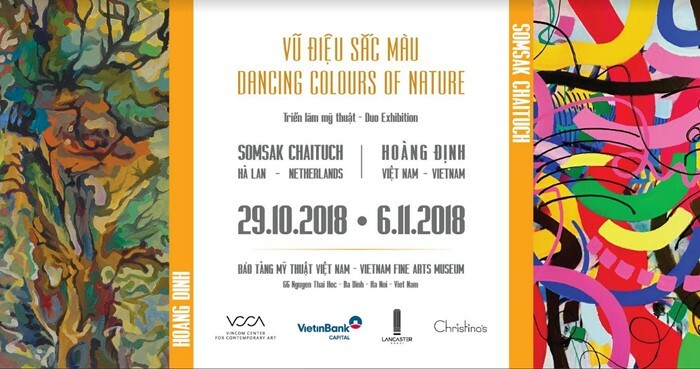 An exhibition in HCM City is also being held on November 3 as a part of the Canon Photo Marathon 2018. Introducing four installation artworks created with peach blossom branches thrown away after the Lunar New Year holiday. 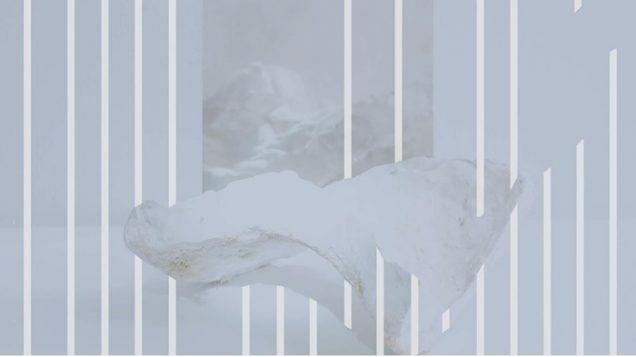 This is a duo exhibition featuring a collaboration between visual artist/filmmaker, Truong Que Chi and architectural studio, vn-a. 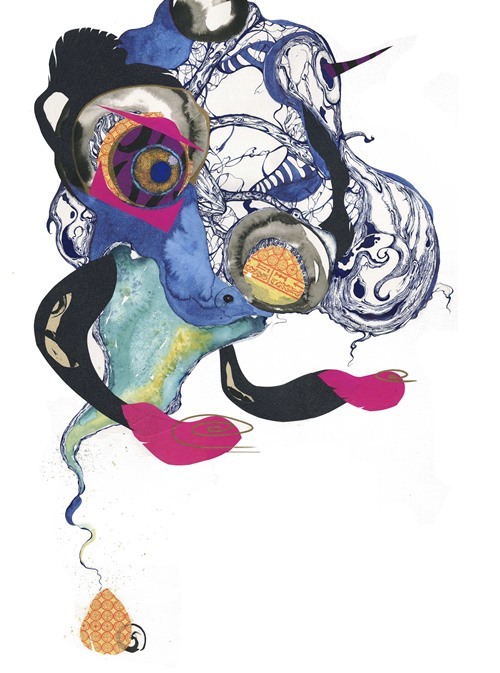 Showcasing a series of abstract characters, inspired by the diverse shapes and forms of mysterious deep sea organisms, combined with the colonial and old temple architecture of Ho Chi Minh City. 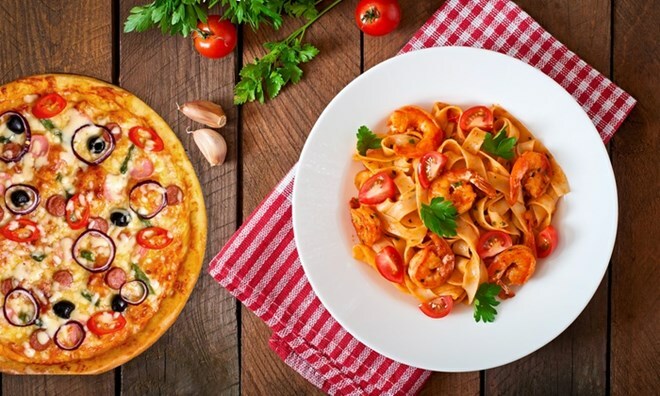 Featuring booths for Italian food & wine tasting (with the participation of the Italian gastronomical champions in Hanoi), exhibitions of Italian design creations (by the main Italian companies operating in Vietnam and by Vietnamese partners), many diverse musical performances, sports activities. A fund raising event coorganised by the Operation Smile to support children with facial deformities in Vietnam. 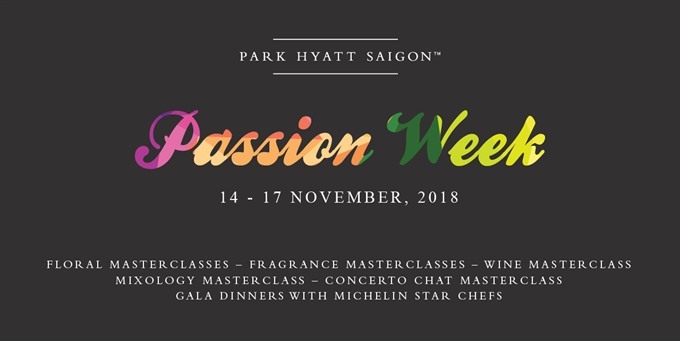 Featuring flying dinner buffet prepared by the top Chefs from InterContinental Hanoi Landmark72, Art Exhibition from artists of Vietnam Art Space (VAS), live music performances, and fashion show from BuiRoss and Silk Party. BBQ seafood & premium meat to enjoy a memorable weekend with family & friends. Saigon Outcast on 188/1 Nguyen Van Huong Street, District 2. Featuring many famous Belgian Beer brands. 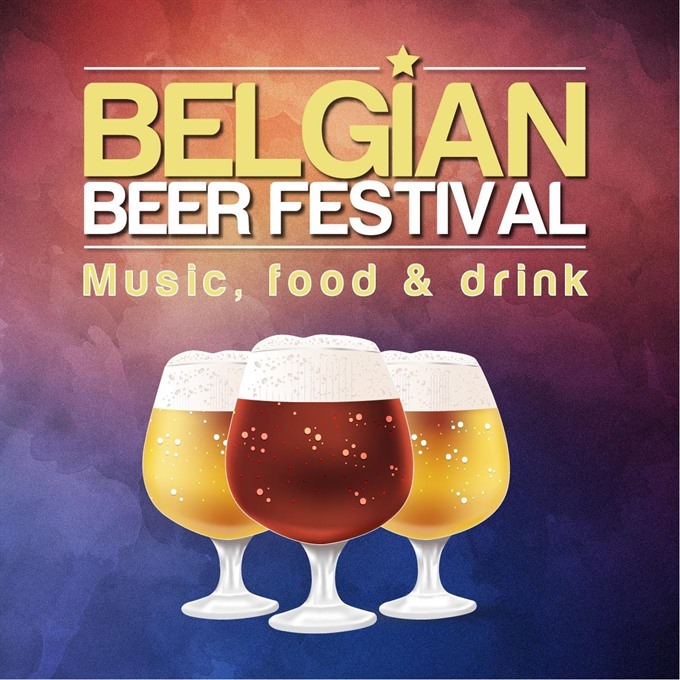 Belgium has the greatest diversity of original beer styles in the world, with over 1,000 types of beers, including pale lager to amber ales, lambic beers, Flemish red ales, sour brown ales, strong ales and stouts. Tickets are VNĐ50,000 per person. Park Hyatt Saigon, 2 Lam Sơn Square, District 1. Featuring renowned artists from various fields to share their passion for contemporary art and cuisine. A series of activities including exciting master classes by skilled artists and gala wine dinners by Michelin-starred chefs.